Meditate Therein Day And Night | Study to show thyself approved unto God, a workman that does not need to be ashamed, rightly dividing the Word of Truth. This website ministry is the studies and messages of Kevin Dodge. Having been discipled in local churches, and received his ThM from Dallas Theological Seminary, his desire is to see God’s liberating grace lived out in the daily lives of redeemable fellow sinners. 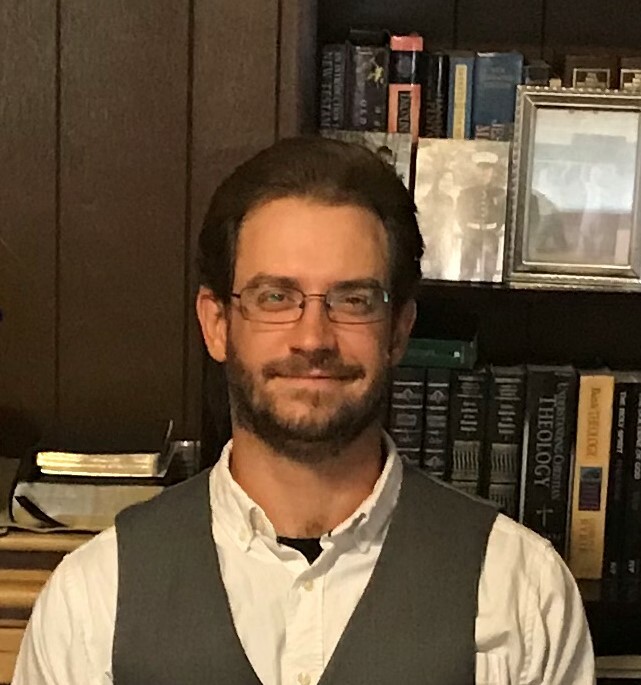 Kevin has ministered with Bible.org and Galaxie Software since 2008, and began co-pastoring at Grace Community Baptist Church in Palatka, Florida in 2019. He has been married to Jane for 13 years, and they are currently blessed with five children: Chanoch, Ezra, Marnina, Tobiah, and Darrah. MeditateTherein is designed to encourage people to meditate in God’s Word and allow it to transform their lives by the power of the Holy Spirit.